Deepen your friendship with the Lord in sacred stillness and quiet. Experience the Ignatian Silent Directed Retreat at St. John Catholic Center in Little Rock March 14-17. The Diocese of Little Rock is hosting this three-night event, which begins at 6 p.m. Thursday and continues to noon Sunday. The retreat fee is $325 and includes nine meals, three nights of accommodations and daily spiritual direction. To register, download and return the registration form with non-refundable deposit of $100 or the total fee to Diocese of Little Rock, Vocations Office/Silent Retreat, 2500 N. Tyler St, Little Rock, AR 72207. The deadline to sign up is March 1. Limited space is available. 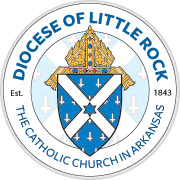 For more information, call the diocesan Vocations Office at (501) 664-0340, ext. 337.